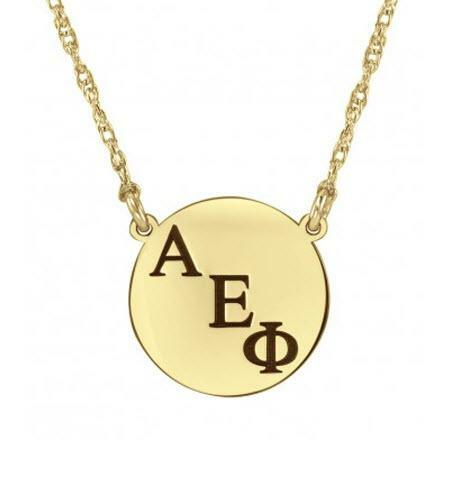 Surprise your "little" with this precious Greek necklace with Greek initials on a round charm in your choice of sterling silver or gold on a 16 or 18 inch chain. Make the big revel by having the big sis give to their new lil sis! It comes personalized with the three Greek letters and measures at 5/8 of an inch. Price: $140.00 In stock! - Browse this brandOur products are custom made to your specifications. This product ships up to 3 weeks after your order is placed.